Earlier I had written an article about ‘Best Laptop for Cities Skylines,’ so it’s ideal I write another article related to Best Laptop for Civ 6; also known as Civilization 6. Though both games are very different, they’ll interest players of similar kind. Released in 2016, Civilization 6 or commonly known as Civ 6 received its first expansion pack ‘Civilization 6: Rise and Fall’ on February 8, 2018; whereas the next expansion pack called as ‘Civilization 6: Gathering Storm’ will release on February 14, 2019. Developed by 2K Games; Civilization 6 received mostly positive reviews by major publications and a Metacritic score of 88/100 for the PC version and 86/100 for the Nintendo Switch version. With over 1 million copies in the first two weeks of its release and over 2 million copies sold by May 2017; Civilization 6 is a massive success and received the Best PC Game and Best Strategy Game awards at 2016’s Game Critics Awards. So if you want a laptop that can play Civ 6; great choice buddy! Before we jump into the list of best laptop for Civ 6; let’s first take a look at the Civilization 6 System Requirements. If you’re looking for a no non-sense laptop to get started with Civ 6; then my top most suggestion always will be HP Omen 15-DC0030NR. In my last post too I suggested this laptop on the #1 position; hence it’s ideal that if you’re looking for the best laptop for Civ 6, then this needs to be on #1 position too. It offers an excellent balance between Specifications and price. 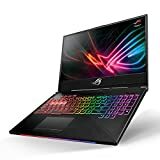 Where most laptops that come with Intel Core i7-8750H processor and 6GB DDR5 Nvidia GTX 1060 GPU cost upwards of $1500; this laptop costs just under $1200 without compromising on anything. You’d be shocked to know that for a price of just under $1200; the HP Omen 15-DC0030NR comes with a metal chassis that provides it rigid and strong built quality. It also includes 16GB DDR4 2666MHz RAM, combo of 128GB SSD + 1TB HDD, preinstalled Windows 10 and very thin screen bezels that holds a full HD IPS panel with anti-glare display thus reducing unwanted reflection and glares. Being a budget gaming laptop; not only does this laptop offers excellent hardware; but it doesn’t skimp on the design aspect too. The top lid features dual tone design of Carbon Fiber and Brushed Aluminum that is carried around to the keyboard-touchpad area too. While most laptops in the budget segment come with red colored backlit keyboard; it is a relief to know that this one comes with 4-zone LED lighting that offers color ranging from Orange, Yellow, Purple and Blue which gives the laptop a premium look. Though features like single-key RGB lighting might impress you, but mind you; laptop with this feature costs almost $400-500 higher. With this hardware under the hood; you can undoubtedly expect to play Civilization 6 at 1080p resolution, DirectX 12 and Maxed Out Settings, and expect to get around 60-70fps on average. If you’re going to invest anything above $1500 on a laptop; then you definitely expect to get the latest offering in the market, don’t you? Launched on January 28, 2019; this laptop is as new as it can get; but what makes this laptop special? Well! 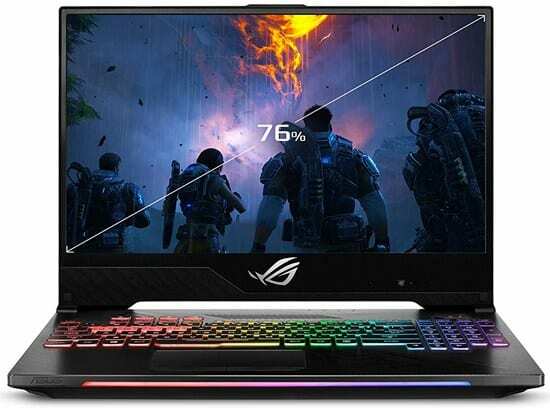 The Asus ROG Strix Hero II features the latest RTX series graphics card from Nvidia. 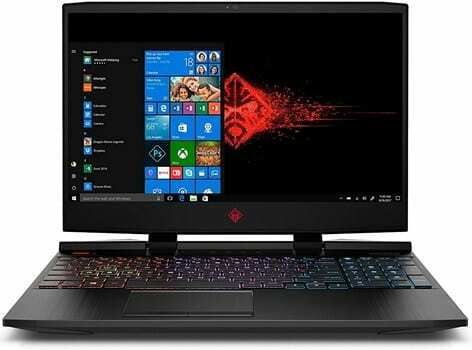 Our previous laptop HP Omen 15-DC0030NR featured the Nvidia GTX 1060 Mobile GPU; whereas this one comes with an updated 6GB DDR6 Nvidia RTX 2060 GPU that has a Memory Frequency of whopping 14,000 MHz and is almost 30-50% faster compared to Nvidia GTX 1060 Mobile depending on various applications, softwares and games. Coupled with this powerful GPU is a top-of-the-line Intel Core i7-8750H CPU that is clocked at 2.2GHz but can Turbo Boost up to 4.1GHz when required. This means; whenever playing Civilization 6, you won’t notice throttling from both the CPU and GPU too. To stay shoulder-to-shoulder with two behemoths, i.e. CPU and GPU; other hardware inside the laptop also needs to be beefed up. 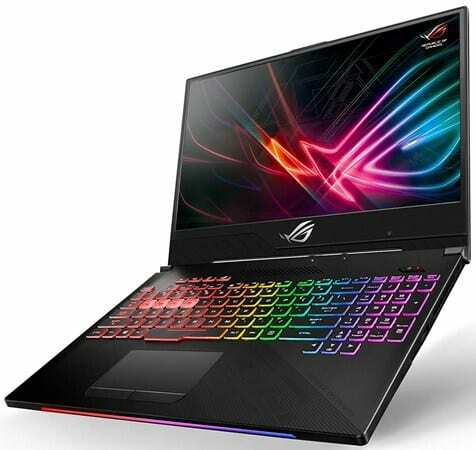 Asus doesn’t disappoint in this department too; as the laptop is packed with a pragmatic 16GB DDR4 2666MHz RAM and a 512GB NVMe SSD that offers Read Speed of over 3,000 MB/s and Write Speed of over 1,500 MB/s, which will make sure you get an overall snappy system and faster gameplay. Talking about gameplay; this laptop is equipped with a 15.6” Full HD Screen that has an IPS panel and offers refresh rate of whopping 144Hz (most gaming laptops offers 60Hz Refresh Rate Screen) and 3ms of response time. This feature helps to offer crispier gameplay without stuttering and ghosting that you might notice on other screens while playing most games. This isn’t it about the laptop, and there’s too much left to say about it, and if you can shell over $1500; you should definitely get the Asus ROG Strix Hero II. I understand the fact that not everyone can afford a gaming laptop costing above $1000 or so. 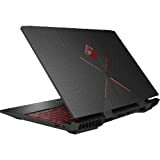 And not just me, gaming laptop manufacturers have realized it too, and that is the reason why nowadays you can see favorable gaming laptops priced around the $700-$800 bracket. However, still that doesn’t mean every laptop in that segment is ideal for you because to offer laptop at such cheap price; few cost cuttings do happen that consumers don’t realize at the time of purchase. Don’t worry though; as this laptop, i.e. Acer Nitro 5 AN515 offers the best of both world. Not only does it offer impressive specs that make it the best laptop for Civ 6 under budget but also provides an excellent design that has won it the Red Dot Design Award. Its innards feature an Intel Core i5-8300H CPU that is 15-20% faster compared to AMD FX 8350 CPU mentioned in the Recommended specs of Civilization 6 system requirements. Moreover, the laptop comes with 4GB DDR5 Nvidia GTX 1050 Ti Mobile GPU that offers around 45-50 FPS while playing Civilization 6 at 1080p resolution and Ultra High preset. 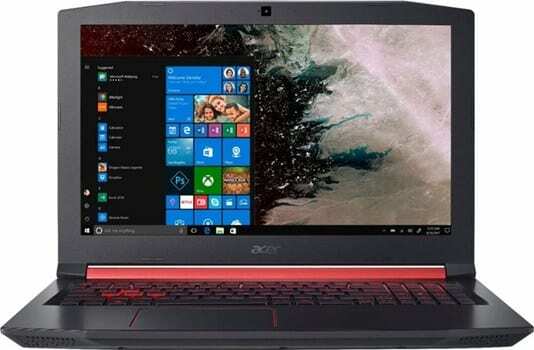 Priced just under $750 (at the time of writing) the Acer Nitro 5 AN515 is ideal for you if you’re a college going student or only require a laptop for playing Civilization 6 and other casual games. Though you can play most modern titles on it like Fortnite, PUBG, Assassins Creed, Wolfenstein and so on at Medium to High settings and 72-p resolution. No wonder I’ve featured this laptop in few of my other guides like this one and this one too. Ok! Being priced just under $750; this laptop does have its cons also; though nothing that will seem to be a deal breaker. The first one is, the screen on this laptop is not up to the mark nor is it as bright as compared to the laptops mentioned above. It features a display that we mostly see in laptops priced under $500. Other than that; it features a full-size keyboard, but the red backlit on the entire keyboard does put me off but don’t take my word on it. You might like it though. I hope this article was able to help you choose between the best laptop for Civ 6 that is within your budget. If you still have an issue regarding the products or want more suggestions; then please don’t hesitate to leave a message in the comments section below. I’ll surely try to help as much as I can. Then please don’t forget to share it on social media sites like Facebook and Twitter.